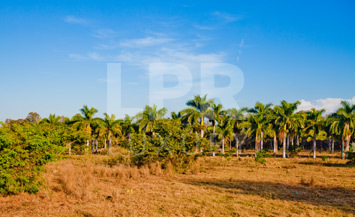 El Rancho Viejo de Palma Real - The Mexico Land Catalog - Development Land and Homesite building lots for sale in Mexico. Nuevo Vallarta – Development land for sale. The Kelele canal goes out to the ocean. One of the benefits of this property is that there would be no sales tax (ISR) on the land as it would be the first sale from you to the new owners looking to build a home in the canal. You could offer canal lots for 400.000.00 usd. There are 450,000 m2 in all. The size of the lots would be 30m (100 feet) x 50m (165 feet) 1500m2 total. 60 of them @ 400k each is 24 million. Or 90,000 m2, that leaves 360,000 m2 for development. There are 2000+ lineal meters of canal frontage. The sale of the canal lots would almost return your investment. That would leave 200 lineal meters for a canal club. At the “Kelele Canal Club” there would be a dock for those who haven’t bought a property on the canal but own property in the development, wanting to dock their boat, jet skis spaces, etc. Owner would split this into three (3) parts. Possible JV with giddyup green. Financing with incoming cash. Very motivated seller.